The DS5, pictured, is one of the models PSA plans to build in China, the report says. PSA/Peugeot-Citroen will produce three Citroen DS models -- the DS5, a three-box sedan and an SUV -- at its joint venture with Changan Automobile Group by 2014, a Beijing newspaper reported. Local production will begin next summer for the DS5 and in 2014 for the sedan and SUV, the Economic Observer reported, citing Ying Zhanwan, vice president of the joint venture, Changan PSA/Peugeot-Citroen. Ying gave no further details on the three models to be built in China. 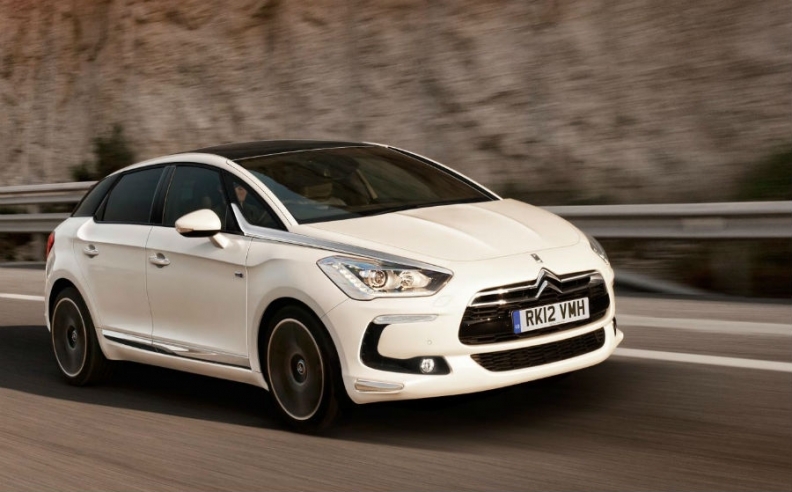 The Citroen DS4 and DS5 went on sale in China in June. The Citroen DS3 hit the market in August. All three models are imported into China. By November, Changan PSA had opened 13 dealerships for the DS models. The number is expected to rise to 70 by the end of 2013, the newspaper reported, citing Ying. Changan PSA did not release sales of the three imported models. But according to LMC Automotive, sales through October were 26 DS3s, 161 DS4s and 145 DS5s. Changan PSA, based in the southern city of Shenzhen, is a 50-50 joint venture between Changan and PSA. In China, PSA also has a joint venture with Dongfeng Motor Corp. that produces the Citroen C2, C4, C5 Quatre, Elysee and Triomphe as well as the Peugeot 207, 307, 308, 408 and 508.